Date: Saturday, 5 March 2011, at 6:52 a.m. Sorry to all of the recepients. There has been a mistake from my side. I mixed up the dates. The nomination closes on march 14th. > I am candidate for the elections to the "*IIUG Board of Directors*". > group of Informix users. We call ourselves fans. 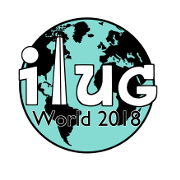 > development of the IIUG both from the strategic and communication levels. > role in the life of Informix. > The *IIUG* needs new members in order to have an international vision. > to other technologies and in particuler to open source. > positionning and features to satisfy the demands and wishes of the users. > be an IIUG member to vote.